REGISTRATION: Dancers will begin registrations at 9:30 a.m.
A warm-up schedule will be sent prior to the competition. Dancers will arrive at Chandos according to the registration/warm-up schedule. 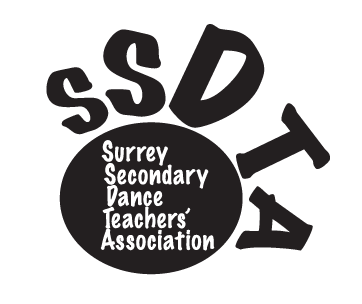 CHEQUES MUST BE MADE OUT TO: Surrey(SD#36)Secondary Dance Teachers Association. http://goo.gl/kH7L23 Please send fill out one form per entry. All schools may enter no more than 2 entries per division. Competition Etiquette and Expectations: All teachers, students and parents will hold the art of dance in the highest regard. There will be no derogatory statements concerning another school or fellow dancer at any time. Students of all ages, sizes, race gender and ability deserve the right to perform and experience the joy of dance. We hold a no negativity rule and it is strictly enforced. Anyone showing non-compliance to this rule be asked to leave the event and may disqualify the school. Teachers or coaches are not permitted to question judges about their scoring. If you have a miscalculation go speak directly to Lucie Landriault, so the error can by adjusted as soon as possible. Any other complaints must be made in writing to the Surrey Secondary Dance Teachers association. Costumes must be appropriate for every dancer. Costumes that show too much cleavage, midrifs, thongs, or boys underwear will be deducted. ****NEW AWARD FOR BREAKOUT 2014****SPIRIT AWARD!!!! FOR THE SCHOOL WHO CHEERS THE MOST FOR ALL THE TEAMS COMPETING, SHOW THE LOVE! !